French director Jean-Pierre Jeunet is an original artist with a style that's easy to spot after only a few minutes of screen time. Looking back at his career, The City of Lost Children and Amelie are charming films, and The Very Long Engagement is an impressive war drama. I also enjoyed the look of Alien: Resurrection even though it fails from a story perspective. Jeunet's approach probably wasn't the right fit for that type of franchise. Given how much I like his films, it's surprising that I wasn't very interested in seeing Micmacs. The trailer seemed to be trying way too hard to convey a sense of whimsy. It's been lounging in our DVR since last summer, so it would take a push for me to watch it. This latest pick for my Readers' Choice Marathon actually comes from my wonderful wife Erin, who loves Jeunet's films. She watched Micmacs a few months ago and has been trying to convince me to see it. This marathon gives her the perfect chance to make this viewing happen. Erin writes a stupendous blog called Lansdowne Life, her personal showcase of arts and crafts, home decor, and other creative projects. You should definitely check out Erin's blog and add it to your reading list. Were my original thoughts about Jeunet's latest movie correct? Let's get to the questions and find the answer to this pressing issue. 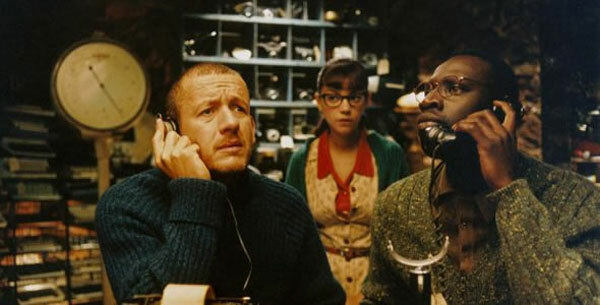 Bazil (Dany Boon) works at a Paris video store and spends his days watching movies like The Big Sleep. His life is changed forever when a stray bullet from outside lodges in his brain. Amazingly, he survives the ordeal but loses his job and home. Bazil's dad was killed by a landmine when he was a kid, so weapons have negatively affected his life several times. After joining an odd group of scavengers, Bazil enacts a daring plan to get revenge on the arms manufacturers who build those death machines. Despite the heavy security around those facilities, their unconventional methods give them a chance. The key part of the plan is turning the villains against each other while staying under the radar with his pals. Micmacs is satirizing weapons manufacturers, but it's pretty light and doesn't take aim at real-life figures. Watching the villains get their just due is fun, but it feels more like a fairy tale than a biting satire. 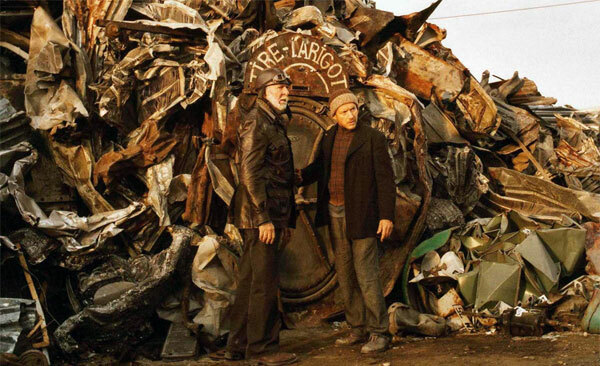 Jeunet is more interested in depicting the characters who live at the junkyard. Their unique creations and special skills are the focus and contribute to the charm. Although it takes place in the present day, this story feels timeless because of the vibrant look. Cinematographer Tetsuo Nagata (La vie en rose) delivers Jeunet's lively vision and keeps the mood light. It's a tricky balance to keep from crossing into too much quirkiness, and I expect that some viewers will hate this style. The whimsy doesn't bother me because it combines well with the striking visuals and never feels predictable. Considering the silliness of most of the characters, Jeunet and frequent co-writer Guillaume Laurant keep them surprisingly believable. A good example is Elastic Girl (Julie Ferrier), who's able to contort her body so much that she can fit inside a box. Her character is effective because Ferrier is charming and underplays her unique skills. Her romantic interest in Bazil also works because the actors sell their goofy connection. 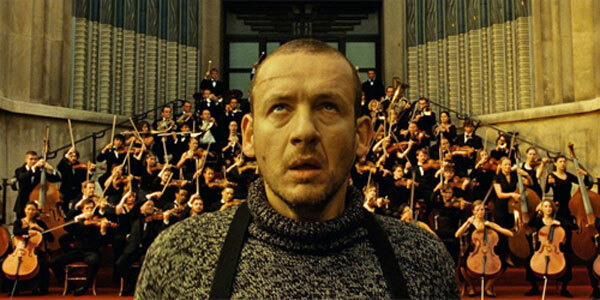 Regular Jeunet collaborators like Dominique Pinion bring a familiar feeling to this movie. He plays Buster, a human cannonball who's set to play a key role in their plans, assuming the others don't cause him serious harm. Another fun guy is Remington (Omar Sy), who talks with almost constant cliches. Your tolerance for this type of character says a lot about how much you'll enjoy the movie. I wouldn't call these fully drawn individuals, but even the one-note characters aren't a problem in this offbeat adventure. Jeunet throws a crazy amount of material into each shot, so there are plenty of good examples for this question. The scenes that stick with me are the inventive ways that Bazil and the gang pit the arms manufacturers against each other. 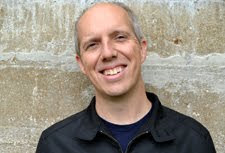 Nicolas Thibault de Fenouillet (André Dussollier) and François Marconi (Nicolas Marié) have no idea they're being manipulated by a third party into destroying each other. These CEOs for the companies that make the respective land mines and bullets never stop to consider an alternative explanation for the mayhem. One of their best gags is stealing Marconi's fancy cars and replacing them with junkers. Their deft combination of skills, particularly those of Elastic Girl, allow them to move swiftly and create major havoc for the rich bigwigs. 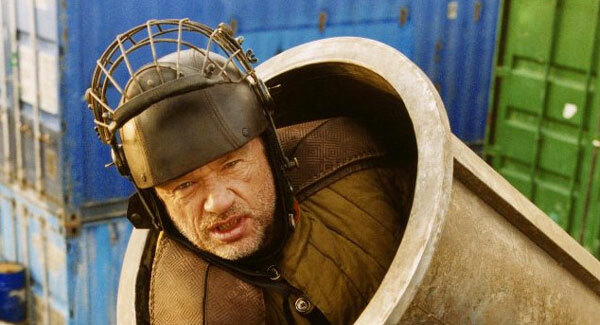 No matter what your opinions are about Jeunet, it's impossible to deny his originality. Micmacs is an entertaining movie because it depicts a world of strange gadgets and whimsical characters. These are staples of his career and line up with his previous work, especially Amelie. The house beneath the junkyard is highly inventive and one of this movie's best locations. This absurd family of misfits is right at home in Jeunet's world. Characters like the Calculator (Marie-Julie Baup), who measures items with a quick look, are right at home in this environment. Even the mundane evil of the CEOs feels less villainous because they exist in this manufactured land. Jeunet translates our modern state into a fairy-tale universe and asks us to join for the ride. Whether we're willing to take the leap is the pivotal question. I wouldn't have a problem recommending this movie to most friends. It's not the type of film that I'd suggest to a co-worker who sticks to mainstream fare. However, it's a pretty light and enjoyable movie that shouldn't turn off too many people. I wouldn't place Micmacs on the same level as Amelie or The City of Lost Children, but there's still plenty to like on the screen. I don't expect it to stick with me on the same level as those films. It hasn't even been a week, and I'm already starting to forget a lot of it. That said, I could easily see myself re-watching this movie in a few years and enjoying it. 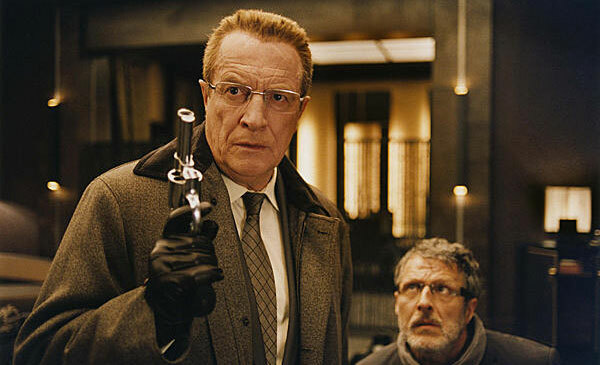 It's surprising to note how few people have seen this film given the popularity of Jeunet's other movies. It easily surpassed my expectations and deserves a wider audience. Have you seen his film Delicatessen? I think that Micmacs is most like this older film, but D is quite a bit darker. Both are good, though. Steve, Delicatessen is actually the only Jeunet film that I haven't seen. It's been on my to-do list for a long time, and I've heard a lot of great things. I'll have to make a point to get to it soon.